On 11 December, participants of the VI All-Russia Congress «Pharmaceutical activities in Russia and the EAEU» discussed the issues of the legal and regulatory framework of pharmaceutical activities in Russia and within the EAEU territory, the topics of control and surveillance as applied to medicinal drugs circulation and protection of intellectual property. The event was organized with the support of the RF State Duma, the RF Ministry of Economic Development, the RF Chamber of Commerce and Industry, the RF Ministry of Natural Resources and Ecology, the RF Ministry of Regional Development, the RF Ministry of Healthcare, as well as other industry agencies. The Federal Target Program «Pharma-2020» being implemented currently, the Federal Target Program «Pharma-2030» being developed, the draft bill on amendments to the law «On Drugs Circulation», the system of labeling and cryptosecurity to be put into effect on 01 January, 2020 – all these documents in one way or another impact or change pharmaceutical activities in Russia and the EAEU. 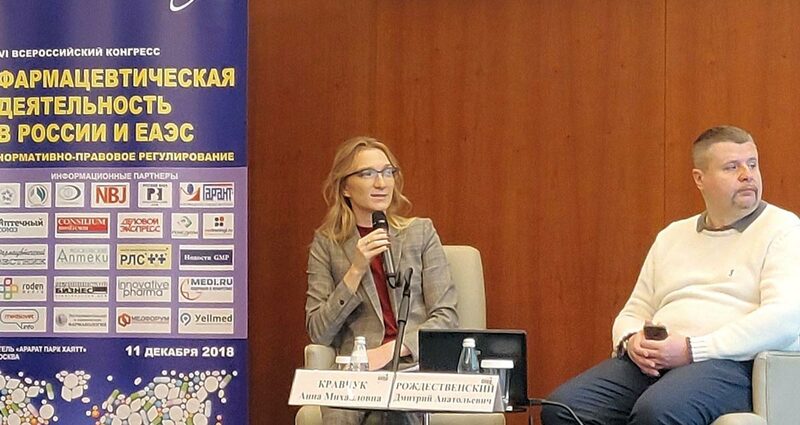 The experts of the VI All-Russia Congress presented to the audience the primary issues and challenges of the pharmaceutical industry based on the results of 2018 and over the longer term of market growth. The Congress saw speeches of the representatives of the Eurasian Economic Commission, the State Institute of Drugs and Good Practices of Minpromtorg of Russia, the Autonomous Nonprofit Organization «National Pharmacovigilance Research Center», the Sechenov University, as well as of other industry experts. The first half of the Congress was dedicated to the issues of harmonizing legislation as applied to drugs circulation in the EAEU member states, the procedure of drugs registration and expert evaluation, drugs interchangeability, improvement of drugs provision and drugs import substitution, as well as the issues of state regulation in terms of prices for drugs. In the second half of the Congress, such topics as pre-clinical and clinical trials, the issues of pharmacovigilance in Russia and the EAEU, specifically the application of IT-technologies for providing compliance with current regulations, as well as topical issues of the pharmaceutical industry, such as labeling and cryptosecurity, were discussed. 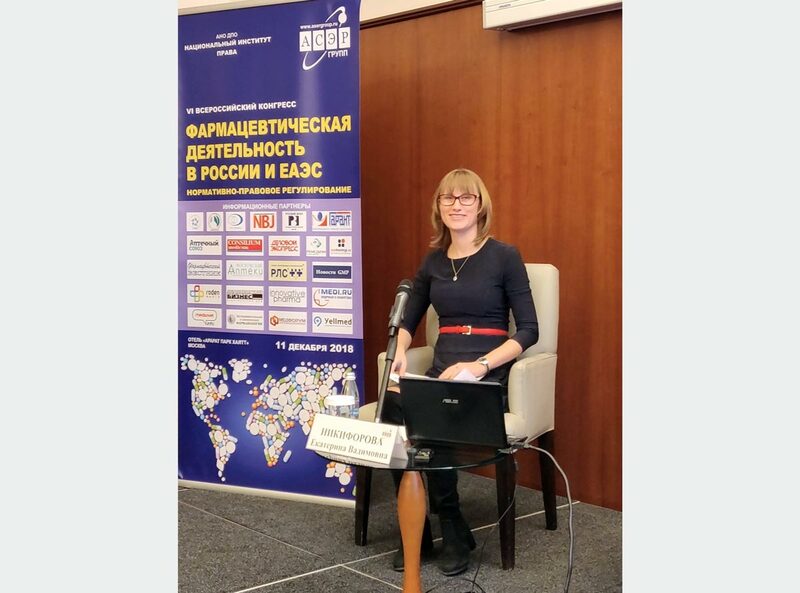 Ms. Ekaterina Nikiforova, the Head of Drug Manufacture Inspections Department of the State Institute of Drugs and Good Practices of Minpromtorg of Russia, spoke about the procedures of inspecting for compliance with GMP standards. In her report, besides explaining the procedure of inspecting pharmaceutical companies for compliance with GMP requirements, she focused on the key non-conformities most frequently found during inspection. She also gave recommendations on behalf of the inspectorate how to avoid such non-conformities and spoke about the approach to applying the risk management system in planning of pharmaceutical inspections. The format of the Congress allowed its participants to ask questions and discuss the pressing challenges with experts of the pharmaceutical industry.